Srinivas Naidu, 42 years old, is an ace swimmer from Vijayawada. He can swim 750 in 13 minutes which is incredible for his age and condition. He is an above knee amputee. He was struggling to get an artificial limb from last 8 years but with no help. 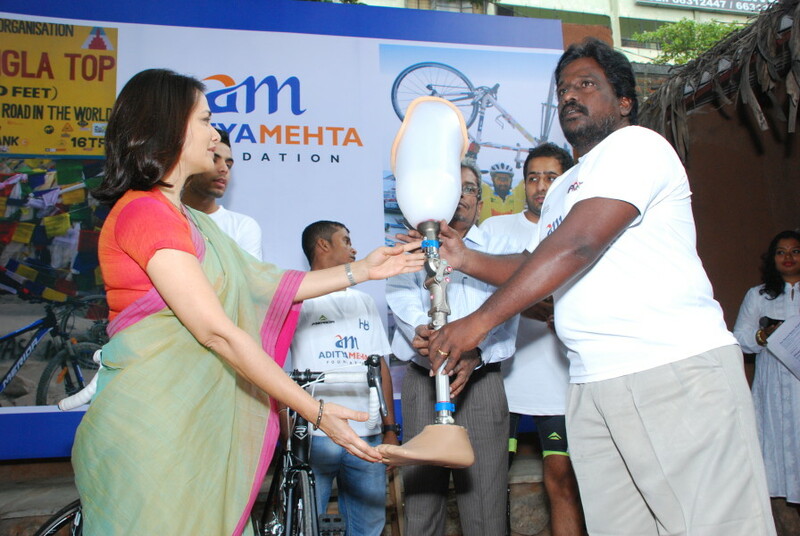 Within 6 months AMF helped him get an artificial limb which changed his life for ever. There was a special felicitation programme offering him the leg which is of superior quality imported by Amala Akkineni.